A detailed tutorial on how to make a custom foam base for your village display, sculpted with Hot Wire Foam Factory tools.... The styrofoam is prone to dings, breaks and bends unfortunately. I'd like to harden the outside of the styrofoam with something that I can work (sand) with after it drys and hardens. I've used the liquid plastic that RR's use for terrain, but it doesn't dry hard enough to smooth effectively. Image result for how to make a styrofoam base for village. 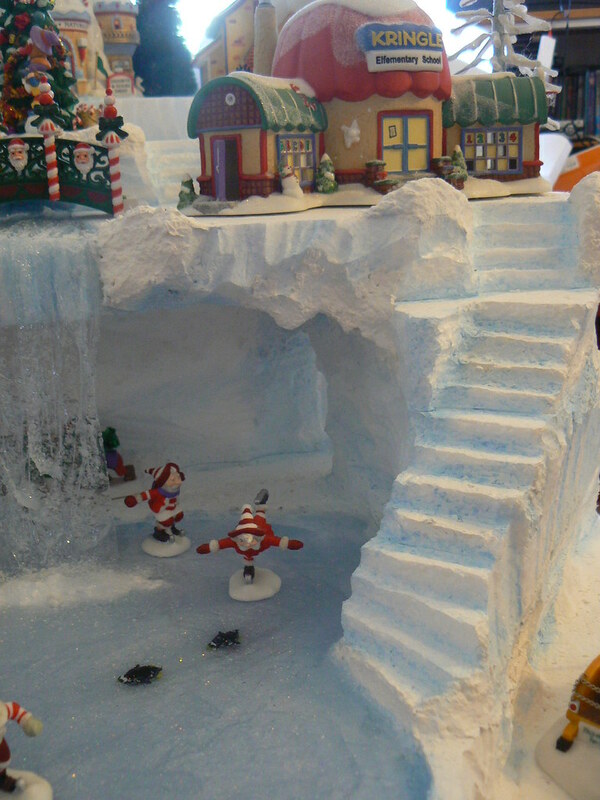 Image result for how to make a styrofoam base for village... Christmas Village Display By Cecil Yount. Hope you are all doing okay and getting ready for Christmas. I sure am ready, and I’m enjoying my Snow Village much more this year. On a foam base, foam pieces make nice levels and slopes. 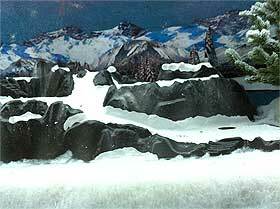 In fact, foam lends itself quite well to creating the foundation of almost any kind of miniature landscape . The foam glues easily into place, and then the whole base stores nicely in one piece, ready for next year's display.... This site explains everything you will ever want or need to know about making Styrofoam scenic bases for villages. He uses mostly ceramic houses, but the basics would work for the cardboard houses. On a foam base, foam pieces make nice levels and slopes. In fact, foam lends itself quite well to creating the foundation of almost any kind of miniature landscape . The foam glues easily into place, and then the whole base stores nicely in one piece, ready for next year's display. Making the Base When you're satisfied that the "footprint" of your base looks "organic," carve or rub off the top edges to smooth it out. Paint it with a white paint that doesn't make it dissolve (interior Latex room paint or ceiling paint is usually good). Glitter trees for a printable micro or N scale winter village are easy to make from chenille bumps, glue and fine glitter. The trees shown here (instructions on the pages which follow) are made from vintage light green and dark green rayon chenille bumps, which tend to be fuller than the modern version.